Virginia’s Piedmont is an expansive area of gently rolling terrain whose underlying geology is quite complex. The old metamorphic and igneous rocks of the Piedmont are cut and overlain by a series of basins into which sediment (now sedimentary rocks) accumulated during the Triassic and Jurassic periods (225 to 200 million years ago). These rift basins developed as the Pangaean supercontinent began to break apart, ultimately leading to the formation of the Atlantic Ocean. Eleven of these basins are exposed in Virginia’s Piedmont (and more lie buried beneath the Coastal Plain). Here early dinosaurs frolicked on flood plains and at the margins of large lakes. In some basins, organic-rich sediment was buried in swamps to later become coal, which during colonial times was the first to be mined in North America, and today, energy companies are prospecting for natural gas from organic-rich shales in the Taylorsville basin. (A) Overview map of onshore and offshore early Mesozoic basins (green) in eastern North America. (B) Generalized geologic map of Virginia illustrating the distribution of early Mesozoic basins, including the Scottsville basin and Midway Mills, in the Piedmont. BB—Barboursville basin; BCB—Briery Creek basin; RB—Randolph basin; RCB—Roanoke Creek basin; SB—Scottsburg basin. Modified from Bailey et al., 2014. 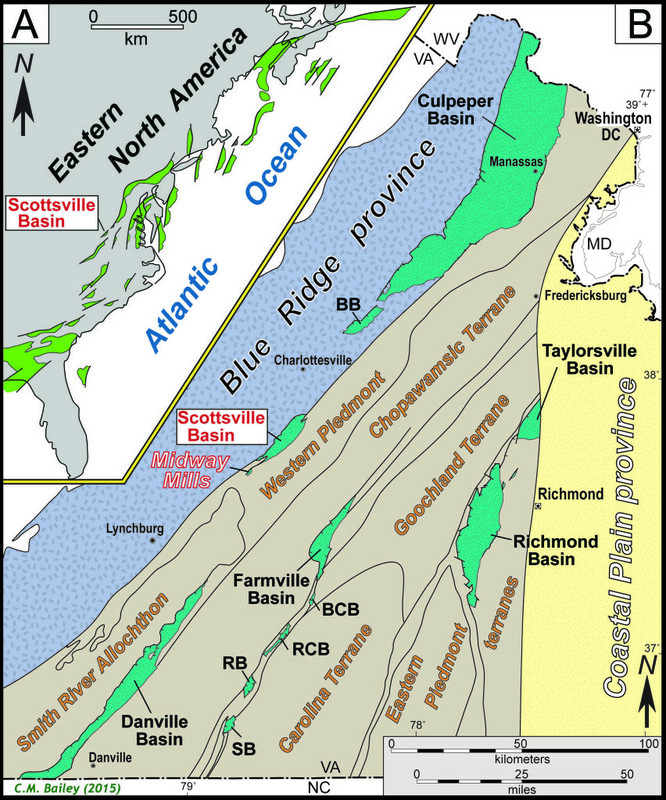 The Scottsville basin in the central Virginia Piedmont forms one of the westernmost Mesozoic sedimentary basins in eastern North America, but it has received only cursory scientific attention. In 2011-12, Kevin Quinlan ’12 focused his senior research project on the Scottsville basin and reported his findings at a number of geologic meetings. A year later Jacob Rosenthal ’13 studied the small Midway Mills sub-basin, an outlier to the larger Scottsville basin. Since the late 19th century, geologists had noted that Triassic rocks cropped out near Midway Mills, but no detailed work had ever been undertaken in the area, making it an ideal locale for a field-based senior thesis. Before I delve into the geologic story of Midway Mills, I’m going to pursue a tangent and recount a more recent history of Midway Mills. Back in the 1990s, on a gentle summer float trip down the James River, I paid a visit to Midway Mills. The derelict mill stood amongst a tangled riot of vegetation, but the structure itself was massive. 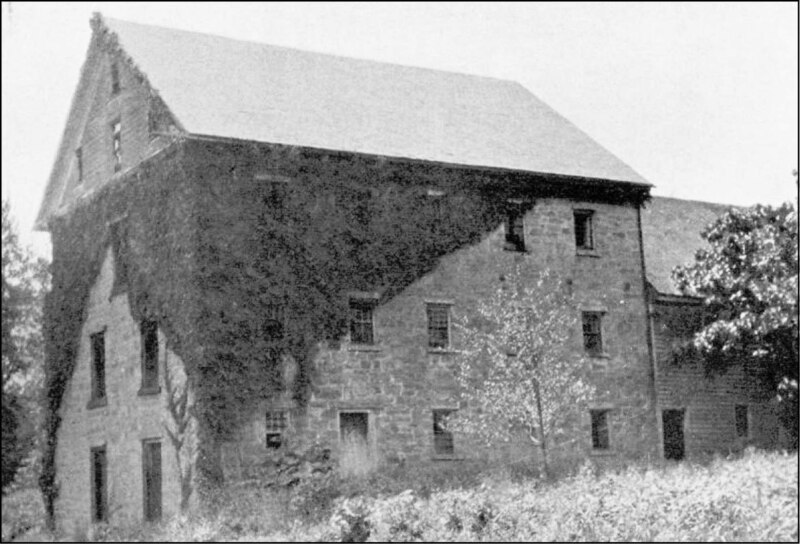 Midway Mills was constructed from locally quarried Triassic sandstone and conglomerate (in the building stone vernacular it’s commonly referred to as brownstone). The main rectangular structure, some 18 by 15 meters (60’ x 50’), rose four stories, and at its base the walls were nearly three feet thick. The mill was first constructed in 1787, reputedly by Italian shipwrights, and was located adjacent to the James River & Kanawha Canal (later to be replaced by the railroad in the 1880s). Midway Mills as illustrated in Furcron (1935) Plate 15, pg. 80. Continuing further along this tangential path – I’ve read that the mill was named Midway because of its location halfway between Richmond and Lynchburg. The river distance between Richmond and Lynchburg is 236 km (148 mi. ), however, Midway Mills lies 162 km upstream from Richmond (that’s nearly 70% of the way to Lynchburg). Perhaps 18th century Virginians struggled with measuring distance or doing division, but I doubt that. There are other plausible geographic explanations for the name. Midway Mills is midway between Columbia, where the Rivanna River canal branched off from the James River & Kanawha Canal, and Lynchburg. The canal reached its westernmost point at Buchanan in 1851, and interestingly Midway Mills is also midway between Richmond and Buchanan. 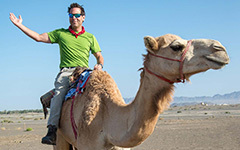 Perhaps one of these geographic tidbits explains the origin of the place name. Map of the James River basin in central Virginia. Note Midway Mills is not midway between Richmond and Lynchburg. Prior to heading into the field Jacob, and I examined the existing geologic maps of the area including the most ‘recent’ study, a 1:62,500-scale map (where 1 inch on the map equals 1 mile in the real world) by Ernie Ern published in 1968. Ern’s map denotes the location of an old quarry a few hundred meters from the mill, and he describes this quarry as the site from which Midway Mills’ stone was obtained. In July 2012, Jacob and I (along with Geology majors Zach Foster-Baril and Billy Jaeger) headed to the Piedmont and commenced fieldwork. I’d planned to stop at Midway Mills first and show off the mill’s stout sandstone walls to my students before finding the old quarry and beginning our research in earnest. 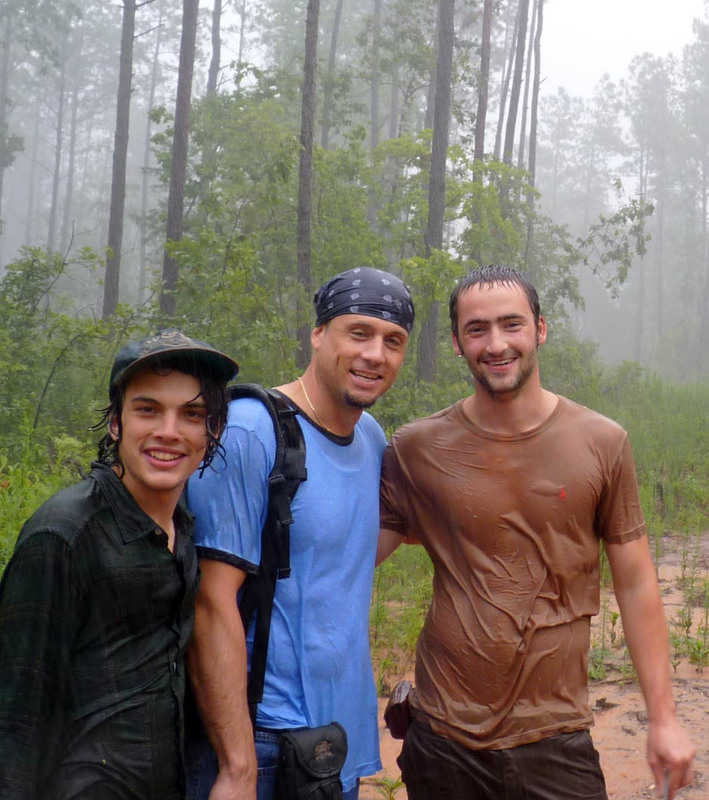 The Gentlemen of Science and Leisure, from left to right- Zachary Foster-Baril, Billy Jaeger, and Jacob Rosenthal in a downpour near Midway Mills. From there we headed out on a traverse to find the old quarry- we found outcrops of reddish-brown sandstone and conglomerate, but no quarry. Once again I circled about, right at the spot, where according to Ern’s map, there was a quarry. We found no quarry (recall his map was at a scale of 1 inch to the mile; Jacob’s work was to be at the much more detailed scale of 1:12,000, such that 1 inch on the map represented 1,000 feet in the real world). The traverse was also punctuated by a sultry downpour, adding wet insult to the injury of not finding either the mill or quarry. Bailey, C.M., Rosenthal, J. R., and Quinlan, K., 2014, Geology of the Scottsville Mesozoic basin, Virginia, in Bailey, C.M., and Coiner, L.V., eds., Elevating Geoscience in the Southeastern United States: New Ideas about Old Terranes—Field Guides for the GSA Southeastern Section Meeting, Blacksburg, Virginia, 2014: Geological Society of America Field Guide 35, p. 243–254, doi:10.1130/2014.0035(08). Furcron, A. S., 1935, James River iron and marble belt, Virginia: Virginia Geological Survey Bulletin, n. 39, 124 p.
fun read, you did find the quarry? forwarding to russ. I guess they shipped the quarry across the pond, too? Born and raised right up the road from the mill I found this a very interesting read. I am eagerly waiting for your next post continuing the story of what happened to blocks.